Outlandish Observations: Outlandish Observations in Entertainment Weekly! 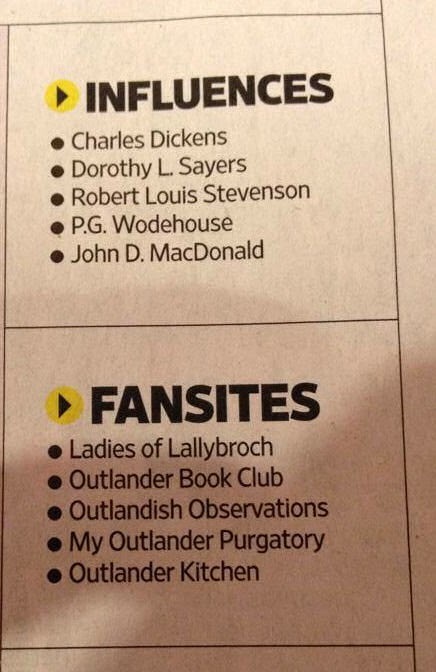 I'm DELIGHTED to announce that Outlandish Observations is included in a list of OUTLANDER fan-sites in the August 15 issue of Entertainment Weekly magazine! Congratulations to the Ladies of Lallybroch, OBC, My Outlander Purgatory, and Outlander Kitchen for making the list as well! What a thrill for all of us!! Congrats again! I'm very excited to see you there!